Creation of an application for various interactive totem for FOX spaces in the main Italian shopping centers for the launch of the Mankind series. 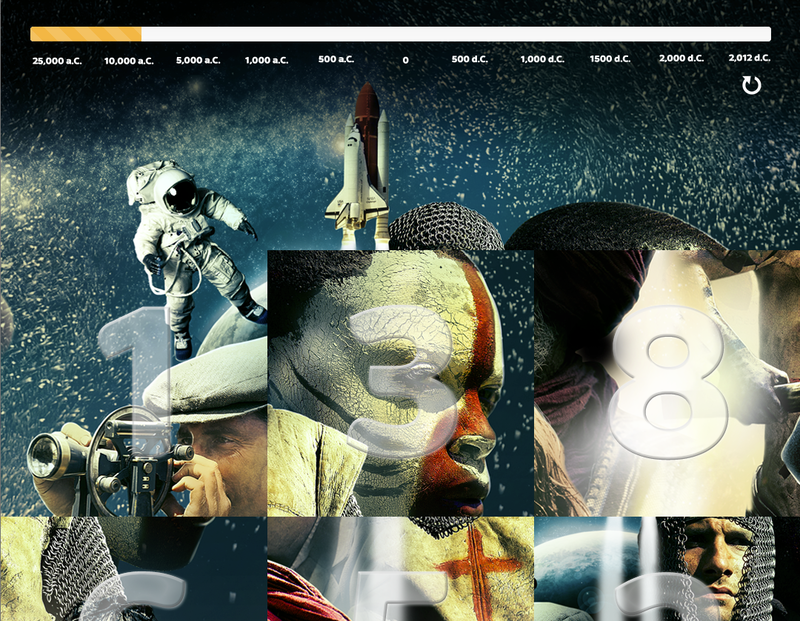 The totem touch allows you to play a game of 15, which, when completed, view the campaign image of Mankind. Mankind is an ambitious event that within 12 hours of great television says the greatest adventure of all time: the history of mankind. Since the emergence of homo sapiens to the ice age, the birth of agriculture to the sack of Rome, from the discovery of the New World to the fall of the Aztec, the industrial revolution, the program tells the epic story of our fellow human beings to free themselves from the domain of a rough and brutal and ensure better living conditions. A journey that is not yet finished.